With the changes to Grassroots (U9-U12) District Development Tier 1 division play for Outdoor 2017 we have removed these divisions from the General District team entry form and created a separate form. 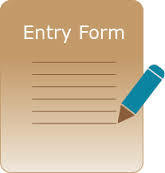 This form will be due March 7th, instead of March 28th as determined at the EODSA T1 meeting. Late entries into the T1 divisions in U9-U12 will not be accepted. Team Entry payment for U9-U12 Tier 1 teams must also be made March 7th. If you are entering teams in District Development Tier 1 divisions your Club Membership Fee ($300.00) is due March 7th as well; if it has not already been paid with Regional team entries made in January.